We hope the descriptions below will help you to decide which class/classes are best for your child. Please be aware that these are guide ages only and that sometimes younger students are better suited to higher level classes and vice versa. We offer a free trial for all class types and will advise after the class on suitability and level. This class introduces pre-school children to dance using music, props and stories. The emphasis is on moving and capturing the imagination. Each exercise builds essential motor skills, co-ordination and rhythm. Children work in groups to discover their first Tap, Modern and Ballet steps. This nurtures their social and emotional development. Children are now able to remember the names of the steps they learn and begin putting them into short sequences. Following the Pre-Primary ISTD syllabus in Tap and Modern provides an appreciation of the contrasting styles and accompanying music, for example; rhythmic tap and jazzy modern. Set to contrasting music from our other classes, Street allows our younger dancers total freedom of movement and expression. Our teacher AJ is also experienced in House and Hip Hop which adds diversity to the classes. This class focusses purely on Ballet; starting to develop physical skills, stamina, creativity, expression, and musicality using a range of sounds and musical styles. This prepares students for the transition to ballet and other dance genres at higher levels. Pre Primary is one of the introductory levels of the RAD’s graded examination syllabi and our students work towards taking their Pre Primary Class Award. The classes develop physical skills, stamina, creativity, expression, and musicality using a range of sounds and musical styles. This prepares students for the transition to ballet and other dance genres at higher levels. Having learnt to ‘Hop’ and ‘Skip’, pupils now jump into dance with longer sequences demonstrating more precise technique. Improvisation is encouraged, drawn from the range of steps they have developed in their classes so far. There is an option of taking a class exam (where the teacher is present) in the Primary ISTD Tap and Modern syllabi they have learned. Primary is one of the introductory levels of the RAD’s graded examination syllabi and our students work towards taking their Pre Primary Class Award. 'Street' is an informal style of dance involving a variety of moves often developed in public spaces such as streets, clubs and playgrounds. Our teacher AJ is also experienced in House and Hip Hop which challenges student's technique whilst they dance to their favourite music. Modern is now taken on it's own in a dedicated 45 minute class. We continue to follow the ISTD syllabus + graded examinations are offered. This highly energetic style is most frequently seen in musical productions and the process of learning, memorising + performing dances contributes to increasing self-confidence. Tap is now taken on it's own in a dedicated 45 minute class. We continue to follow the ISTD syllabus + graded examinations are offered. Rhythm is a strong focus of these classes, along with the precise movement of the feet + ankles. The theatrical side of this dance form is also developed. By taking classes and working towards graded examinations, pupils develop core stability, weight placement, turn out + line. Awareness of artistry and dynamics is also recognised and rewarded. Exercises encourage the development of sound technique, relevant for the ballet world of today. These 15 minute sessions continue to enhance the students' stamina, strength + flexibility as their syllabus work becomes more demanding. A 45 minute session incorporating limbering (for strength + flexibility) as well as new steps and routines not covered by exam classes. A variety of music and dance styles are covered as pupils learn how the steps they have mastered translate to the stage; as well as how to perform in a group. Guest teachers are invited in each term and any performance opportunities sought out by teachers are offered to pupils of this class first. With Ballet, Tap + Modern, if taken to Grade 6 and above, the marks attained also count towards UCAS entrance points as they are recognised by Ofqual - the Office for Qualifications and Examinations Regulation. Modern continues to be taken in a dedicated 45 minute class, following the ISTD syllabus. Graded examinations + jazz awards are offered. This highly energetic style is most frequently seen in musical productions and the process of learning, memorising + performing dances contributes to increasing self-confidence. Tap continues to be taken in a dedicated 45 minute class, following the ISTD syllabus. Graded examinations are offered. Rhythm is a strong focus of these classes, along with the precise movement of the feet + ankles. The theatrical side of this dance form is also developed. By continuing to take classes and work towards graded examinations, pupils develop increased core stability, turn out + line. Awareness of artistry and dynamics is also recognised and rewarded. Exercises encourage the development of sound technique, relevant for the ballet world of today. Free of charge 15 minute sessions for anyone wishing to take Modern + Ballet exams from Grade 2 onwards. 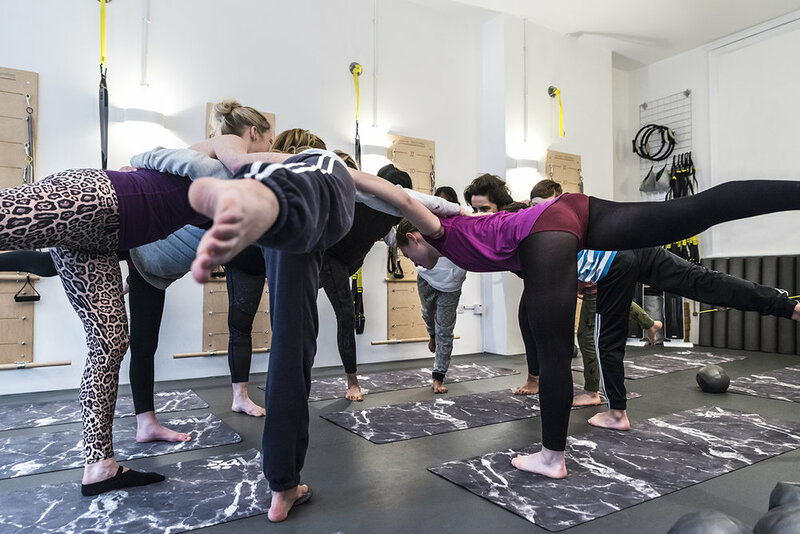 The classes are designed to increase + improve technique, strength + flexibility which cannot be covered within the syllabus classes themselves. Developing the skills learned in the Junior class, this 60 minute class is faster paced and challenges pupils with longer sequences and new steps each week. Stamina and strength are encouraged with tougher exercises for the more mature body. Any performance opportunities sought out by teachers are offered to pupils of this class first. Intermediate Foundation is the first of the RAD Vocational Graded Examinations in Dance Syllabus. It provides an in-depth study of ballet; developing the technique, music and performance skills of the student; aiding their grade work. The class also introduces Pointe work. Contemporary dance originated in the mid 20th century and incorporates a variety of dance styles. In class we work on developing strong, controlled leg work similar to Ballet, floor work that is similar to Modern as well as contract/release and fall/recovery. We also teach students about story telling and improvisation in this class. Modern continues to be taken in a dedicated 45 minute class, following the ISTD syllabus. Graded examinations + jazz awards are offered. This highly energetic style is most frequently seen in musical productions and the process of learning, memorising + performing dances contributes to increasing self-confidence. Tap continues to be taken in a dedicated 45 minute class, following the ISTD syllabus. Graded examinations are offered. Rhythm is a strong focus of these classes, along with the precise movement of the feet + ankles. The theatrical side of this dance form is also developed. Developing the skills learned in the Intermediate class, this 75 minute class emphasises the fitness required for dance at a high level as well as challenges pupils with longer sequences and new steps each week. Students are pushed in this class with guest teachers expecting them to pick up routines quickly and perform with the appropriate style. Any performance opportunities sought out by teachers are offered to pupils of this class first. The aim of each 45 minute session is to improve body awareness - and eventually control - in teenagers. Growth spurts and body developments can be frustrating and confusing although totally natural. Yoga will help students to understand these differences. Yoga can also provide a less intimidating form of exercise for those teenagers who may not find school sports enjoyable, while enhancing the performance of those that do; especially those that dance. The mindful aspect of Yoga can also be useful to those students coping with pressure from school and any other areas of their lives.